A bleeding mole should be evaluated but it is not always a Cancer. A bleeding mole might be just an irritated mole; however, if it continues bleeding, you should visit your dermatologist. This is a serious symptom of Melanoma and some other types of Skin Cancer. 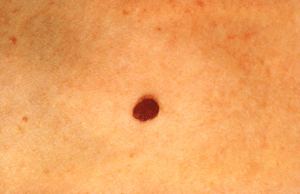 Melanoma is a type of Cancer in which the tumor looks like a mole. This cancer can easily spread throughout the body. If you have bleeding moles, you should be aware of all the symptoms of skin Cancer. The moles can be easily removed, but the removed mole should be biopsied to check for cancer. A mole can bleed accidentally but we are concerned about the bleeding that caused by a minimal trauma. It happens either because the skin cells are getting weak or the blood vessels became fragile. The change in skin structure can cause the continuous bleeding of the moles. A mole is made up of living cells called melanocytes. When the cells grow at the bottom layer of the skin, a mole develops at the top layer of the skin. A mole has blood vessels, small nerve fiber, and oil generating glands. Red Moles: A mole changes its color to red due to the increased blood supply. It may be a result of trauma. The red moles is a matter of concern, you should visit your dermatologist. The cancerous moles are usually red. You should not ignore the red color, itchiness, and bleeding of the moles. All of these are the symptoms of Melanoma. Itchy Moles: The Itchiness in the mole is a result of a normal process of eczema and dermatitis. It is normal but sometimes it may happen due to the nerve ending by the cancerous cells. If you have itchy moles with any other abnormality in shape, size, and color, you should not hesitate to concern your dermatologist. 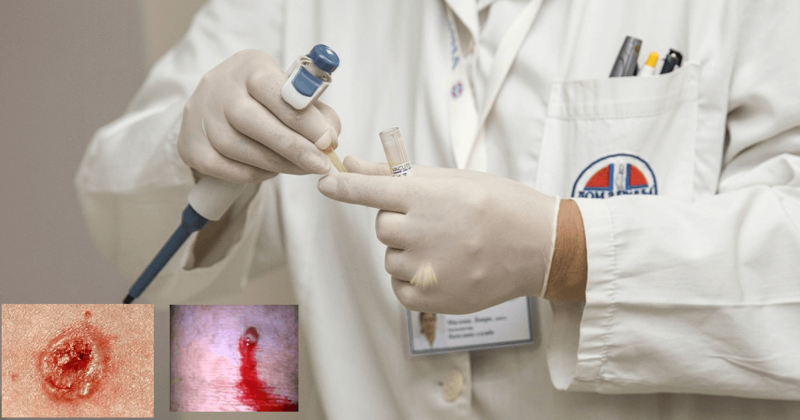 How to spot a Bleeding Cancerous Mole? A cancer is always easier to treat in its early stage. So, it is better to spot the bleeding moles and ask for the skin test. Mostly the Cancerous moles are new ones. But don’t overlook any changes in your previous moles. There is a simple ABCDE rule to check the warning signs of Skin Cancer. Skin Cancer: It is one of the most common death-causing cancers in the world. It mainly occurs by UV Light from the sun. The affected skin cells multiply rapidly and form malignant tumors. There are two types of cancers. The moles of melanoma cancer usually appear on the back, legs, arms, and face. The most common symptoms can be checked by the ABCDE rule. Asymmetry: The symmetry of the mole got changed. You might notice the half part of the mole is different in shape, size, and texture. Border: The moles are uneven, blurred and ragged. Color: The color might change from red to black or brown. It may have shades of red, gray, or blue. Diameter: The Diameter is usually larger than the normal moles. It is not always large. Evolving: The moles have been evolving. It changes its color and shape. It is growing in size. You may feel hard and lumpy skin. It does not cause pain, but it may start bleeding. You may like to check these Mole removal Pens as well. The moles seem waxy and smooth. The moles are itchy and painful. The moles change to red lumps. There are some natural formulas available for treating moles. The natural ingredients remove moles, along with tea-tree oil which reduces the infection. You should use any treatment after concerning your doctor. 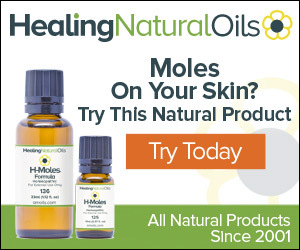 We recommend our readers H-Moles formula to treat bleeding moles. You can also try any of these 5 best mole removal creams. But if your doctor recommends you removing the moles at his clinic, you should go for it. Surgical Excision- The moles are cut off from the skin with a scalpel. Shave Excision- The moles are shaved off with the help of a sharp razor. Don’t Worry. The removal is not painful. But once the mole is removed, it will be checked to detect the cancer cells. The moles usually don’t come back, but if it does you should go to your Doctor. Any abnormality in Skin that is growing or changing quickly should not be ignored. Check the ABCDE rule of self-mole examination. Continuous Bleeding may be a sign of advanced stage Melanoma. 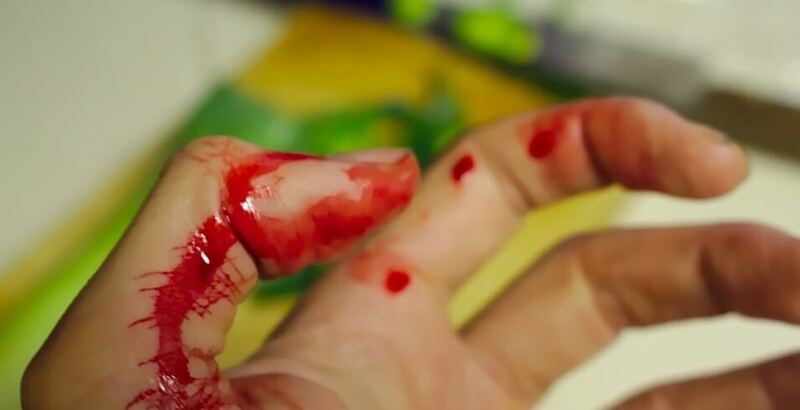 You don’t have to panic if the moles bleed by scratching or cutting. If your moles bleed without being injured, then you should go visit your doctor for evaluation. In case your dermatologist says its fine, you should insist a biopsied check. Relax, very few moles turn into melanoma and is highly treatable if detected early.